Dai another day – HubNut – celebrating the average! Buying the BX has led to one surprising side-effect. I love the little Daihatsu even more! 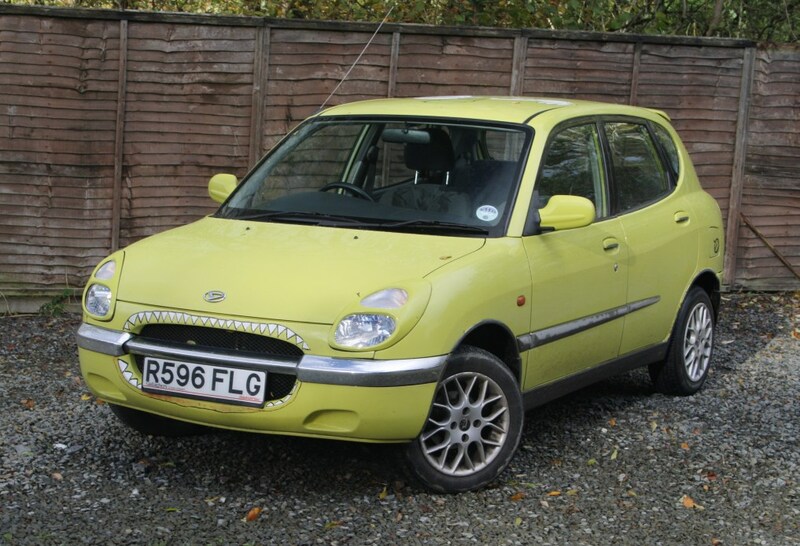 My enthusiasm for the Sirion had been diluted a little by several long journeys – despite only owning it since October, I’d already managed to drive it to Kent and the very top of Scotland before its three-months of service on my fleet. It isn’t ideal for long journeys as I just can’t quite get the seat in the right position, and the suspension has all the compliance of a brick. The BX is the total opposite of this car. It is low-revving, torquey, comfortable and smooth. The BX is pleasant to drive quickly, the Sirion absolutely begs you to thrash it. I’ve been using the Sirion more for local, quick blats of late – and loving it all the more because of this. Hurtling around on smooth, Welsh mountain roads is a sheer joy. The bark from the replacement exhaust is just hilarious and the over-light steering can be ignored. The Sirion has also proved very reliable during its time on the fleet. I’ve had to do some minor work on the brakes, give it a service and replace an exhaust. Oh, and scrub a lot of graphics off. That took a while! I love the way it drives, love the quirky looks and absolutely adore its bright yellow hue. I even like the alloy wheels, even if they are a nightmare to keep clean. Some expenditure is going to be needed though. Under the plastic trims, the sills are in a dreadful state. It did seem to survive being lifted on a four-post lift fairly recently though, so I’m hoping it won’t be too much of a nightmare to replace them. We’ll have to wait and see.